Bionics and brain computer interfaces could redefine what it means to be human. Very soon, we could witness an acceleration in human evolution like never seen before, argues Caleb Sharf, director of Astrobiology at Columbia University. He believes that new technologies will change the evolutionary currency from soft, organic matter to machines that exceed these fleshy restraints and can be programmed or upgraded. “We may be witnessing the first new origin event,” Sharf said in a video interview with Tech Insider. A sprint period in the endurance race of evolution may already be underway thanks to our interaction with the technology we are creating — and that sprint could get even faster when we consider the technologies around the corner. Some developments may already be here. The internet, Sharf argues in an Aeon opinion article, could be the beginning of a new state of being for the human species. The idea of moving towards a definite end point in evolution is flawed: evolution is not a process with a roadmap, but a process of adaptation to an environment, whatever that environment may be. Those who can survive in the new environment live to pass on their genes — those who cannot, don’t. Therefore, we must not ask ourselves what technologies are making us bigger, stronger, or faster, but which technologies give us the ability to adapt to whatever characteristic is required for survival. The first of these are bionics. While today’s bionics are aiming to mimic the functionality of a human limb — and getting remarkably close to doing so — when this goal is achieved bionic engineers may aim at exceeding it. Each of us may face an interesting dichotomy: to be inferior but to subscribe to an idea of man that defines “human” according to the natural body as we know it today, or to be a superior transhuman that integrates technology. If limbs become robotic, they also become customizable and therefore can be adapted to whatever the environment requires. The second of these are Brain Computer Interfaces (BCI). 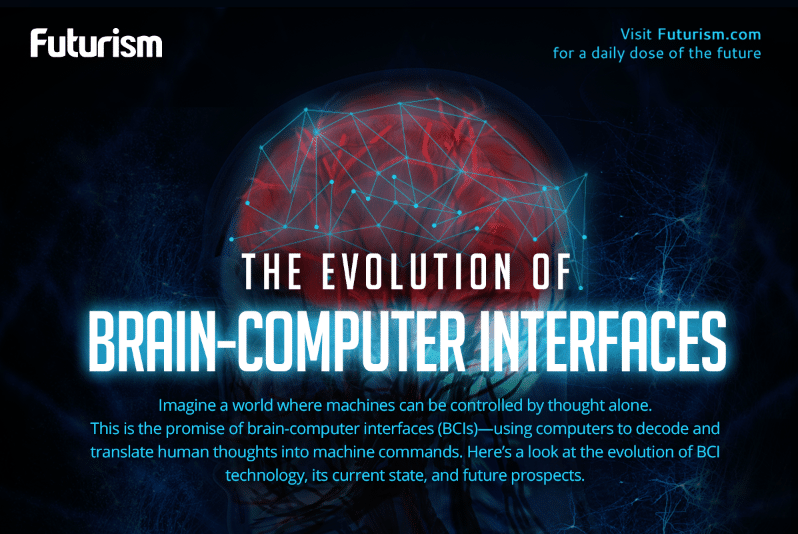 These technologies, which allow the brain to talk directly to computers, open the door for the human mind to sit in a multitude of robotic forms. Should the environment become incredibly hot, for example, we could engineer a robotic body that could stand the heat, and subsequently insert a human brain into it that could control it using a BCI. Aside from the bodily possibilities, we may also consider the potential for human intelligence. BCIs are not just one way interactions, but can allow computers to impart information onto brains. This gives us another golden key to adaptability: the possibility of having knowledge uploaded that would allow us to predict environmental changes and and engineer our own means of surviving them.